The Ceasar Chavez Student center sits on the North side of Lower Sproul Plaza. A committee to oversee the spending of the millions in student fees flowing into Lower Sproul Plaza’s renovation has yet to be formed — despite the fact that it was supposed to be created over a year ago. Meant to be created concurrently with the fee’s implementation — which began in the fall 2010 semester, according to former Graduate Assembly President Miguel Daal — the delay in the committee’s creation is continuing into its third semester as the responsibility for forming the committee was not taken by either the students or campus administration until recently. The Lower Sproul Fee Committee — to be composed of six students, three campus representatives and a representative of the ASUC Auxiliary — is supposed to review how the funds are being spent and notify campus officials if they believe the funds are being used inappropriately, according to Daal. The committee also has the ability to recommend that the student fee be lowered during specific years if it is thought to be too high. A June 29, 2010, campus memorandum of understanding on the plaza renovation projected that the campus would collect about $2.4 million from the fee through the fall 2010 and spring 2011 semesters — approximately $1.6 million of which would go toward the project. Direct responsibility for the committee’s creation has yet to be taken. Several students involved in the creation of the committee laid the blame on campus officials. According to Daal, efforts were put forth by the Graduate Assembly and the ASUC in fall 2010 to create the committee, but they were stymied by a lack of response by campus officials. Both Daal and Noah Stern, then-ASUC president, submitted names of students to serve, but they went unused as campus officials never called a meeting of the committee, according to Daal. “The campus has to convene it — it has to schedule the meetings and set the times,” said Bahar Navab, the current Graduate Assembly president. She also said the assembly and ASUC only need to supply candidates to sit on the committee — not to take responsibility for its formation. If campus officials do not finish creating a committee soon, Navab suggested that student governments would create it themselves but did not provide further details. Paula Milano, campus executive director for space management and capital programs, said a committee would likely be formed soon because of the combined efforts being made by campus officials, undergraduate and graduate student government bodies but did not comment directly on the issues raised by Daal and Navab. The student government and campus officials share “joint responsibility” for the committee, said Milano. “My hope was (that it would be created) last week,” she said. 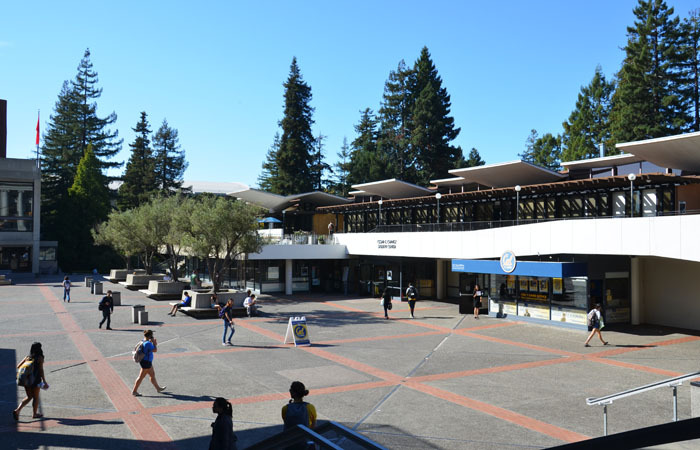 Campus officials are now working in direct contact with Navab and ASUC President Vishalli Loomba to place people on the committee who are mutually acceptable, according to Milano. The committee is supposed to meet four times a year and exist “throughout the duration of the mandatory student fee,” according to the B.E.A.R.S. Initiative, which students passed in April 2010 to approve the student fee — and the accompanying oversight committee — which will help fund the Lower Sproul renovation project. The total project cost with debt servicing is projected to be $840 million, according to the memorandum.